This essay appears in the June 2012 issue of Hudson Valley Magazine. It was never about hating Iowa. It was about loving rock and roll. Six years ago, my husband Cuddy and I were living in Iowa to be near our families. One steamy August afternoon, our mailman brought Cuddy’s first issue of AARP magazine along with Rolling Stone. The irony was impossible to ignore. 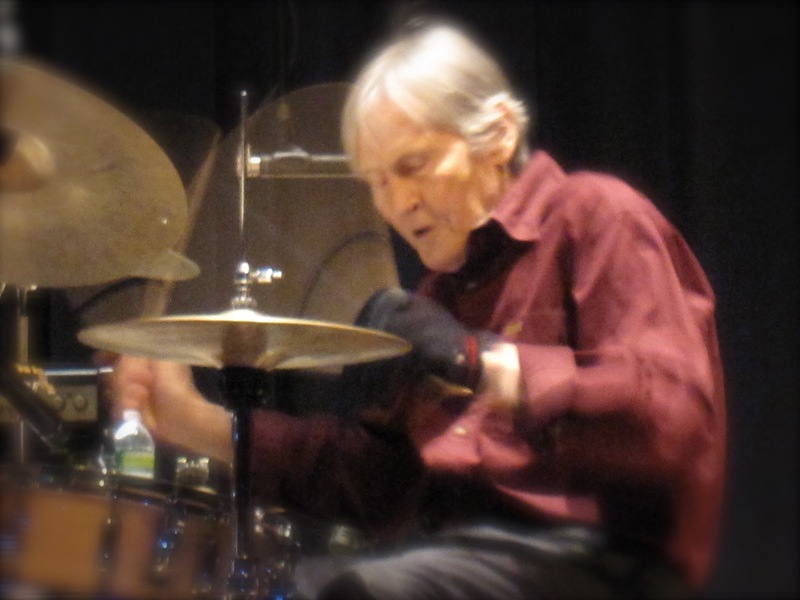 From Rolling Stone I learned that Levon Helm, drummer for The Band and one of rock’s greatest voices of all time, staged an event called the Midnight Ramble in Woodstock, New York, every few weeks. An audience of 100 gathered in an incredibly intimate setting: Levon’s home/recording studio in the Catskill Mountains. As described, it was a once-in-a-lifetime night of music and community, hosted by a living legend. I ordered tickets as a surprise for Cuddy’s birthday. Then I realized I had no idea where the Catskill Mountains were. Turned out we’d fly into Albany and drive south to Woodstock. On October 12, 2006, we flew in from Des Moines. The trees were ablaze with the most stunning fall color we’d ever seen. “This scenery is straight off a jigsaw puzzle from Woolworth’s,” Cuddy said as we drove. Things get interesting on Levon’s property. We went to the Midnight Ramble deep in the woods on Plochmann Lane. Alexis P. Suter and Little Sammy Davis’ warm-up sets were astonishing. Then a back door opened and Levon walked in, down the center aisle right past me. He seemed so small. I couldn’t believe I was in the same room with him. He walked to the front, sat down, and picked up a mandolin, his dog Muddy at his feet. In that voice created by the Arkansas cotton farm music gods, he began to sing: “Well they blew up the chicken man in Philly last night, now they blew up his house too,” the opening line of Springsteen’s “Atlantic City.” Tears sprang to my eyes. An artist I revered was singing a masterpiece 20 feet away from me on a fall night in the Catskill Mountains. How did life get this wonderful so quickly? When Levon and his band played “The Weight,” it occurred to me that this was where my past meant something. I could feel my whole life in this place. I remembered lying on my best friend’s bed in 1970, listening to that song for the first time, on the record her brother had given us. I looked at Cuddy during “Up on Cripple Creek,” and I knew he was feeling the same way. Local lore states that “If you sleep under the shadow of Overlook Mountain for more than three nights you can leave, but you will always come back.” We did come back, every fall for four years. After year four, we decided to make the visit permanent. Unwaveringly, all the details of how fell into place. It was hard to explain to people in Iowa why the Hudson Valley had captured our hearts. It was a feeling we’d never had before: that we belonged somewhere. Possibility hung in the air around us. We were enveloped in sights and sounds that suddenly meant everything. 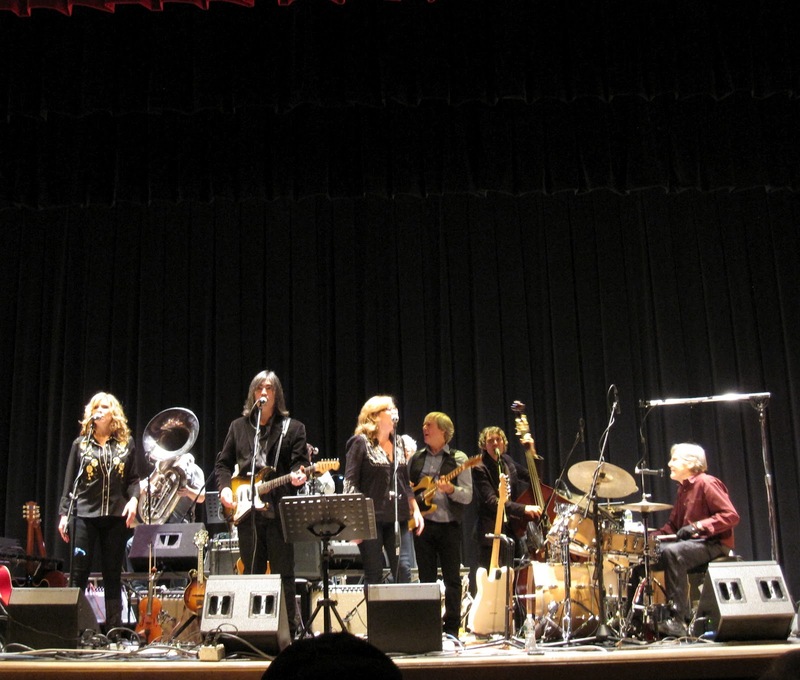 Levon Helm Band, onstage at Onteora High School, October 22, 2011. And a Ramble almost every weekend, ours for the taking. We watched Levon’s health slip away, but never his spirit. His wide smile always made us feel like the chosen ones. The last Ramble we attended at the barn was in August 2011. That night, a boy of around eight or nine came forward to sit on the floor by Levon, watching his every move. The boy’s dad walked over to move him back, but Levon shook his head. He focused on this boy, exchanging electric smiles with him often. He gave him drumsticks, handshakes, and hugs at night’s end. I felt joy watching this passing of the torch. It sang of hope. It was clear Levon was highly aware of his mortality. He charged his battery with the music. With his gritty voice behind that fiery grin, he sang “Ophelia.” We cheered — not so much for the song, but because he still sang it. Levon left us on April 19, 2012. 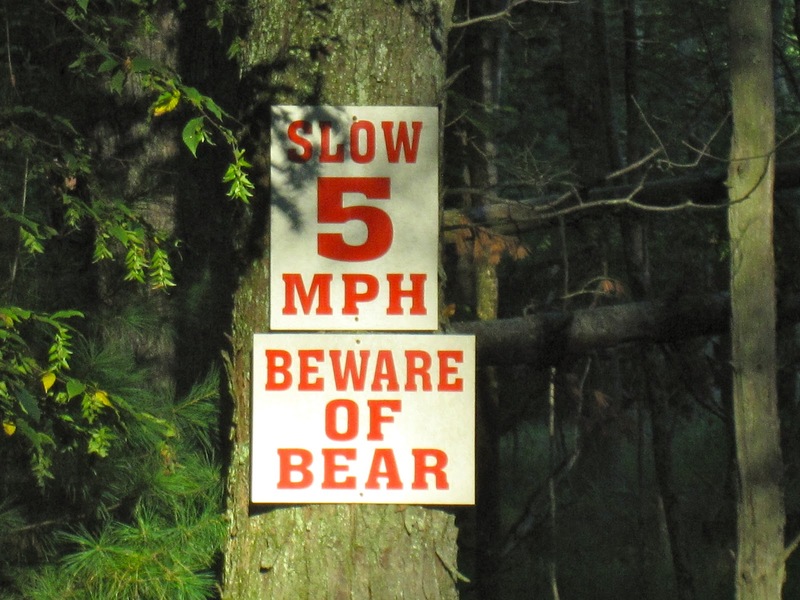 It’s been said the Catskills exert a kind of sound that only some of us hear. This surely is true. That sound will forever have a deep rootsy groove as its backbeat. And for Cuddy and me, now, it’s the sound of home. Thanks so much, Chris. Hope we bump into you one day.